This morning, I had four miles at an easy pace on the schedule. It's been super nice outside lately, so I was looking forward to it, but it was really windy. 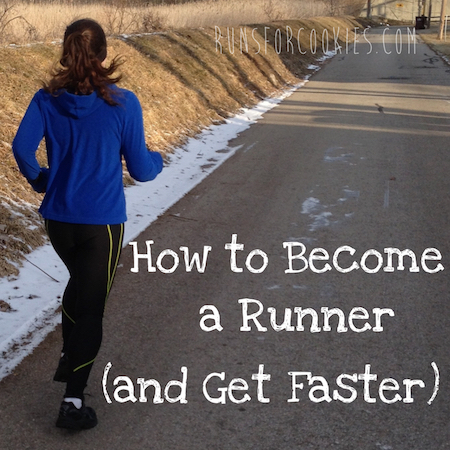 I ran four-mile route that goes around a couple of neighborhoods, and a couple of miles in, I passed by an older man that I see fairly often when I run the neighborhoods. He's probably in his 70's, he walks a lot, and walks pretty far from what I've seen. 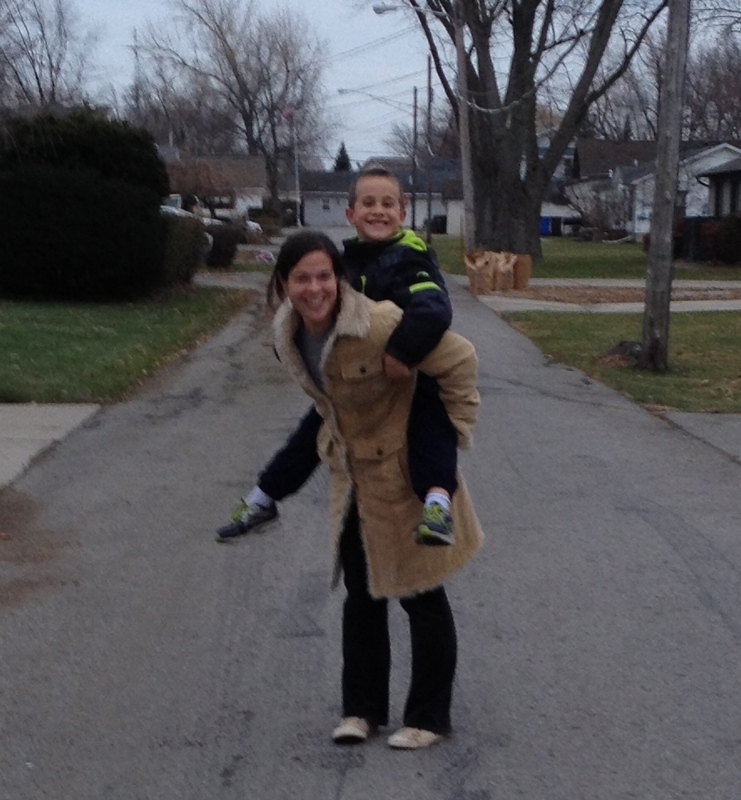 I haven't been running the neighborhoods lately, so I haven't seen him since just before the Chicago Marathon. He carries a baseball bat with him while he walks (for protection, I assumed). As I came up behind him today, I called out, "Coming up behind you!" and then when he turned, "I just wouldn't want to get whacked with your bat!" and he laughed and said, "Nah, this is for the pit bulls". He asked me how the marathon went, and I was surprised he remembered. So I stopped and walked alongside him for a couple of minutes while we chatted. I learned that he walks for exercise to maintain his own weight loss! He said he used to weigh 210, and now he's 170. He said he feels a million times better, and he wishes that overweight people would be able to know what it feels like to be a "normal" weight, because they would see that it's worth the sacrifices to lose the weight. I didn't think of it that way before, but it definitely would be hard to go back to being obese now that I've experienced this size. Life was a lot harder before, from my self-confidence to tying my shoes to finding clothes. 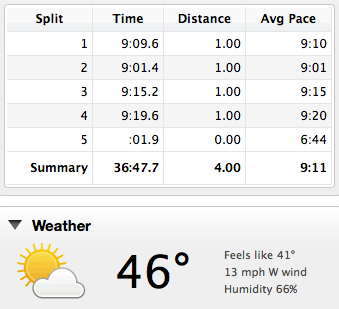 Anyway, I hadn't stopped my Garmin while I walked with him, so when I started running again, my lap pace read 11:30. I made it a mission to try and get that mile pace down to 9:14, which is what my easy pace is supposed to be. I ran hard, but didn't quite make it. I got the lap pace down to 9:20. Not bad! A couple of friends of mine shared this article on Facebook about feeling too fat to be photographed, and it definitely hit home for me. 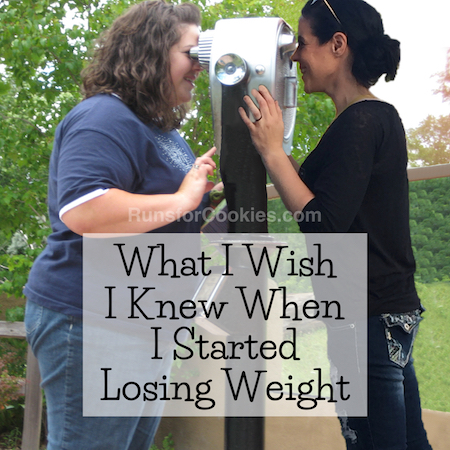 If there is one thing I regret most about being fat, it's that I was so worried and occupied by the fact that I was fat. I avoided the camera like the plague, and because of that, I don't have many pictures from my 20's, or even late teens. Now, my kids don't have many pictures of them as babies with their own mother. I'm not sure what I thought at the time. That anyone looking at the photo would think, "I can't believe she allowed herself to be photographed, she's so fat!"? It's a ridiculous way to think, and I wish I'd realized that back then. Once we had digital cameras, it was so easy to delete pictures, too. If I did happen to get photographed, all I had to do was push a button or two and it would be gone, never to be seen again. When I look at pictures of other families, I never notice, "Oh, she's overweight" or "Her thighs look big", or "Look at that double chin". I just see the picture for what it is--a photo of that family, doing whatever it is they were doing in the moment. Once I realized this, I try to get a lot more photos of myself in the memories. Rather than taking tons of pictures of Jerry and the kids when we do something fun as a family, I'll get pictures of them, ask Jerry to take pictures with me in them, or even ask a stranger to take a photo for us. I want my kids to have those pictures to see that I was an active mom, that I did fun things with them. 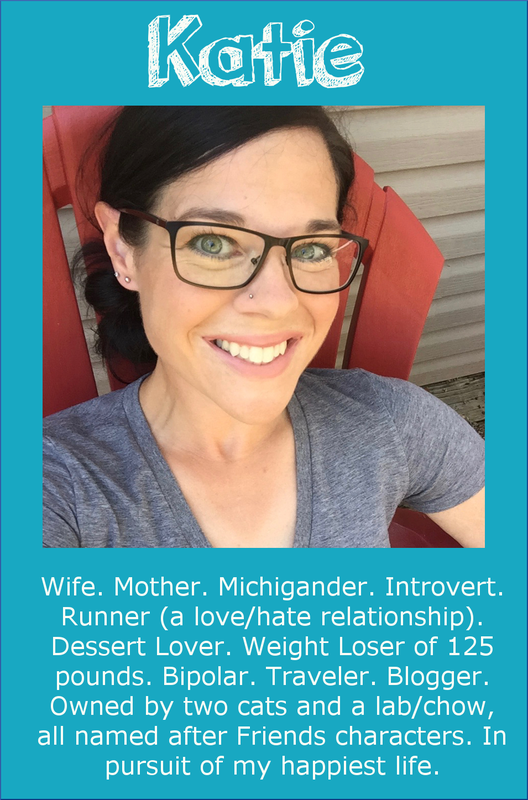 When I was overweight, judging by the photos, you would think my kids didn't even have a mom, because I was never in the pictures! Just today, while we were waiting for dinner to get done (it was in the oven), the four of us went for a walk around the neighborhood. Jerry was being silly with the kids, and I took a bunch of photos. Then I asked him to take my phone out of my pocket to get a picture of Eli and me, because I was giving Eli a piggy back ride (and galloping while doing it, just ask my burning thighs!). Someday, I want Eli to look at that and see a mom who gave him a piggy back ride... he's not going to notice (or care) that I'm not wearing make-up, that I didn't do my hair, or that I'm wearing yoga pants (all easier to see if Jerry hadn't gotten such a blurry pic!). I still have days where I feel fat, and I nitpick certain spots on my body in photos... but I never delete pictures for that reason anymore. I always think to myself, "Someday, I'll be happy that I have this." When I first started losing weight, I decided to take a picture every 10 pounds that I lost, so I could see the changes in my body. 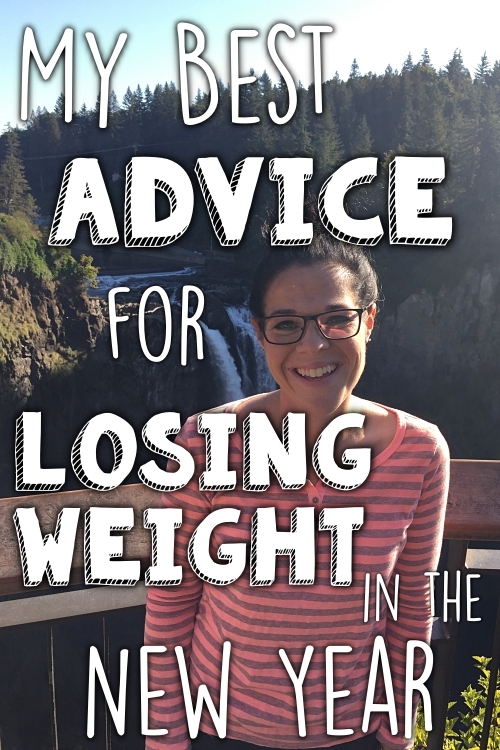 After I'd lost 10 pounds, I felt amazing, and I was so excited to see the difference. I wore the same clothes, and had Jerry take some comparison photos. When I looked at the pictures, I was horrified. I looked exactly the same! I was really upset, and was thisclose to deleting the pictures. 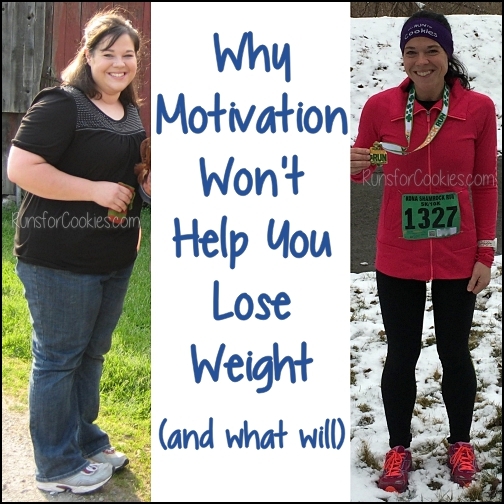 But I reminded myself that I would regret it, if I did, in fact, go on to reach my goal weight. I'd have wished that I saved those pictures! And now? For all of the pictures that I did save, or allowed to be taken, I'm grateful to have them! I just wish I hadn't let my weight stop me from capturing memories with my family for so long. That's really nice about walking with the elderly man! I see some older ladies who walk in my neighborhood all the time, and it's nice to see that. I plan to be active when I am old. I also hated having my picture taken, and I feel sad I don't have more photos with my kids. You're right that no one else notices that stuff (like no makeup) but we do about ourselves. I still find myself thinking I am too fat to be in a photo, and I need to stop doing that to myself. Fat or not, I have a right to be in a picture with my kids. When I weighed my highest some years ago, I avoided cameras. Now I'm disappointed because it would have made for better "before and after" photos! I think it's great you're taking pics with the kids more. I don't have a lot of photos of me with my mother when we were young, but that was just because she was constantly busy taking the pictures! I still avoid the camera and it saddens me. I treasure images I have of my child self with my mama. I wish my kids had the same. I always say I'm going to get in pictures...but I never do. Unless I can hide behind someone. Maybe I'll try to change that...again:) Glad you had a fabulous jog and stopped to chat with the bat toting gentleman! This is a struggle for all moms, I think, not just those who are overweight - especially if you're the picture taker of the family (I am NOT a photographer by any means...). We went to Disney in August where I took 1200+ photos (not an exaggeration) and I'm in maybe 15, total? The only thing about Disney is that they offer something called photopass where they will take photos at strategic locations for you, so I totally took advantage of that and got some great shots WITH my kids (and husband). I take tons of photos on a regular basis but I'm rarely in them. Last year, I made Harry Potter wands with the kids (yes, I made one for myself - I like to pretend I'm Molly Weasley...) and I set the camera up on a tripod so I could document that I was part of it. I'm going to try to do that more often, I guess. I loved the idea of the commenter above (Jennifer) for taking at least 1 or 2 a month with me in it! Thanks for that! Same here. There aren't many pictures of me when I was heavy. We had family pictures taken this fall and my heaviest son and his wife (also heavy) didn't want to do it, and didn't order any of the pictures. Yes they are big, but it's who they are, I don't see them doing anything to change, so why not accept it, and buy a few family pictures? Since they adopted their daughter Mia in August, it's nice to finally have a professional family picture of the three of them. I'm thinking the reason we avoid pictures when we're heavy is because it hurts so much to see what we really look like. When I ordered clothes from the large-sized catalogs (that for some reason uses regular sized models? ), that's how I imagined myself looking in those clothes--like one of those skinny models. But when you see the picture, you can't lie to yourself anymore. My daughter-in-law said to me, upon looking at the family pictures, "It's sobering." Yes it is, and so much easier to deny, if you don't see the evidence. My 8 pound pomeranian was attacked by a pit bull while I was walking her. It roared, bolted toward us, and grabbed her by her hind leg. I snatched her away as the pit bull's owner ran to us and gained control of his dog. It was the most frightening experience of my life. She was not physically harmed (surprisingly), but now she is terrified of other dogs. after my dad died i found pics of my mom (they divorced back in the 80s). my mom had 4 full term pregnancies (and a lot that ended up miscarriages) and i found pics of her pregnant (also found other inappropriate polaroids-which i gave back to her, she giggled over them). there were two pics, and that is all she has. i know now that it is much easier to take a photo, but the kids were born from 76-85, and we did own cameras back then. plus my mom was never a large person (110 lbs not pregnant). so i dont know why she would not want photos taken. It's amazing what a difference losing 35 lbs made in everything. At one of the summer WW meetings everyone was given a piece of paper to write one sentence on and I wrote: "Everything is easier at goal weight." I love the picture of you and Eli. He will definitely remember his active, happy, fun Mom! Katie- I totally NEEDED this post today. a year ago I hit a 25/30 lb weight loss and then slowly started putting it back on due to a crazy schedule and honestly, some self sabotage. This morning I got on the school and I am back to where I started which totally defeated me and at times, feel ashamed. 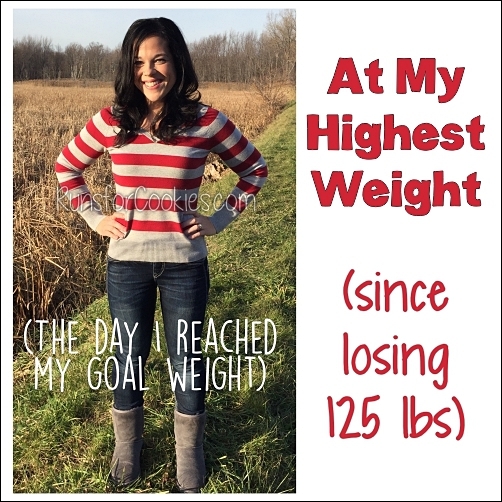 I was needing a way to monitor my progress so I had something to look and compare and that 10 lb loss picture is perfect! Thank you for sharing this! i don't know why, but it only hit me this year that during holidays/family events on my mom's side, we don't take photos anymore. it's been bugging me A LOT and (i'm a photography major) now i bring my camera with me... i love taking photos and i love capturing memories! but no one wants to be in them! i get a ton of photos of the kiddos and new babies, but no one older wants to be in a photo! i mean, i wouldn't ever post or keep a photo that was unflattering to someone..i always show what i've taken to those who are concerned. but i do understand how critical people are of their own bodies, as i'm critical of my own..
i just really want these photos (especially of my grandma with her great grand kids, and my cousins and their babies!) for the future to enhance memories..
i guess i don't know what the point was to my comment, but i feel like this post was well timed, with the holidays still in full swing..